I now choose to get lost now on unknown treks, before I could be found again! This is one of the many revelations a tourist in India comes across, more profoundly if he is an adventure tourist. The versatility of the country plays a major role, specifically in mountain regions like Himalaya where beauty personifies itself and gets amalgamated to challenging thrill. 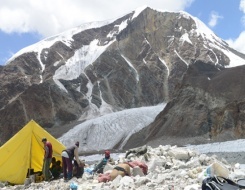 Trekking expedition in India is best way to witness this transformation. 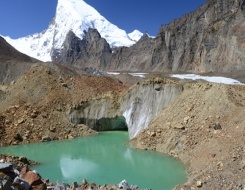 Himalayas have been many things to many people and for a trekker, they are sheer paradise. Various factors would readily testify this fact. For anyone, it only takes to be in the regions of Garhwal, Kumaon, Ladakh, Sikkim and Himachal Pradesh to appreciate what they are missing. Trekking expeditions demand a fit body and sound mind that can continue to function in the face of climatic challenges of mountains. 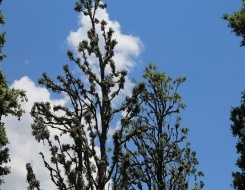 Rest of the things would be made easy by the expertise of the trekking tour organizers and by the spell-casting green, white and brown of the rough hilly terrain. The trekkers during their India adventure holidays get welcoming views of valleys, mountain peaks, straying wildlife, variety of flora, thin and thick streams from big and small cracks in the mountains, colorful meadows and what not. Trekking through the toughest and easiest of the terrains to understand life on this side of geography is the best kind of adventure to undertake. To take on trekking in India at various parts, there are certain things to be taken care before getting on to the adventure tour. This include Inner line permit fees, Insurance, medical fitness certification and last but not the least, good quality trekking gears. Moreover, such trips by default demand flexibility in scheduling as the itineraries are subject to change depending upon the weather conditions. 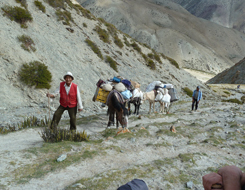 With no shortage in the types of expeditions, Himalayas are best for testing endurance- physical as well as mental. 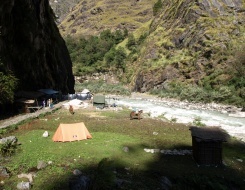 A customized package in the categories of easy, moderate or difficult for India trekking expedition in the Himalayan region can just be the thing a trekking enthusiast might be looking for. 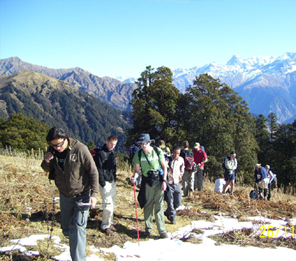 What is going to be your pick as a trekker on any of the India adventure expedition?